The kitchen is the center of a home. It’s the gathering place of families and friends. As the main utilized room in a home, it’s important to have comfort, durability, ease of use, and style. You don’t have to have a custom home to enjoy the new kitchen trends. Some of these ideas work best with an open floor plan, but can be done with just about any kitchen. Who knew that saving the environment could be as popular as it is now? 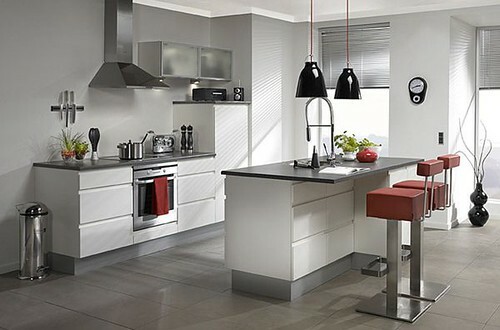 Eco-friendly kitchens are stylish and save homeowners money as well. 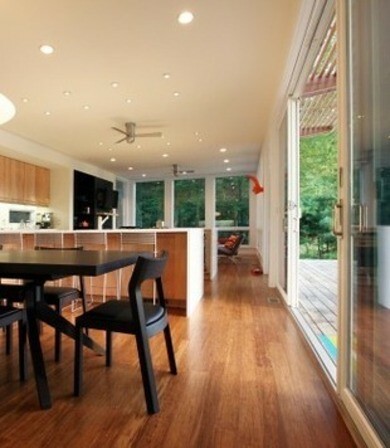 There are many ways to build or update your kitchen such as installing bamboo floors. It’s very attractive, similar to hardwood floors, and extremely durable. They also resist moisture, making it perfect for a kitchen environment. Manufacturers are recognizing the Eco-friendly trend with Energy Star rating appliances. Refrigerators, freezers, and dishwashers are sleek, offering environmental protection and use less energy, lowering utility bills. To add in to the open floor plan, the center of it all is the island. Its multifunctional usage has inspired designers into the theme, bigger is better. From entertaining, to eating breakfast, to homework, to cooking and completing crafts, everything happens on the island. It’s great for storage as well. As we spoke briefly of islands and storage, they have gained more popularity of tucked away appliances. It’s a thing of the past for a kitchen to have one fridge. Now it’s in to have a 2nd fridge. There’s no place better than directly inside of the island. They can be used as beverage coolers, wine coolers, or hold extra snacks. You’ll also find automatic retractable items that will reveal things like can openers and knife sets. 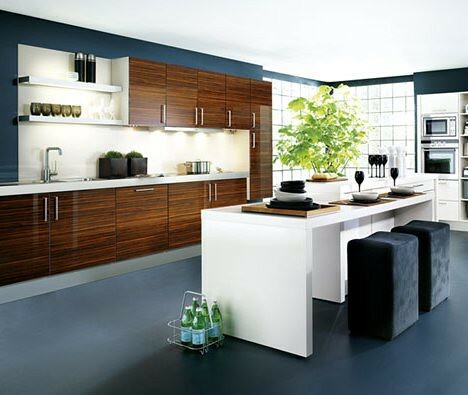 Another trend with hidden appliances is those blended with the cabinetry design of the kitchen. They are often camouflaged into the walls or in the island. Many of the hidden appliances are dishwashers, refrigerators, freezers, and trash compactors. Who said less was more? Even with busy working couples, there are larger families than one would expect. More entertaining families equal more friends and family get-togethers. This boils down to more space needed as well as helpful appliances. Two of everything is not out of the norm. Two refrigerators can serve multiple purposes, as well as two dishwashers to keep up with the day. And even though there is an oven, warming drawers are a must have, especially for large meals that require different time frames of cooking. For the enthused chiefs of the house, a kitchen workstation is in high demand. Since the kitchen is the center of the home, there is so much traffic through and to. A kitchen workstation usually is set up with a computer, drawers, and cabinets to hold various paperwork, craft supplies, stationery, phones, and a great spot to access recipes. Glass is very popular throughout the home and it is a roaring kitchen trend as a back splashe. The backsplash has always been popular. The glass gives a fuller look to a kitchen and adds more flare. The best part is the ease of cleaning. Ken Uhrich likes houses. In fact he lives in one. You can drop him a line at the Custom Home Group website.